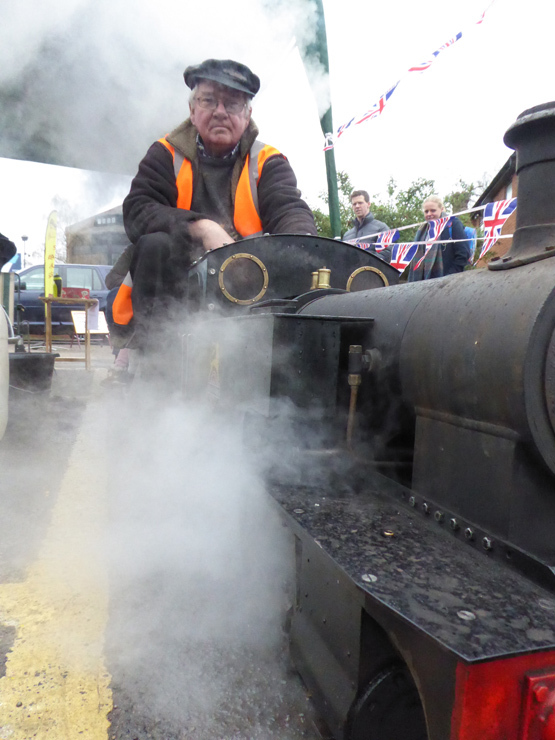 The "Big Weekend" is a "Big Success" - nearly 1,200 Visitors in two days! 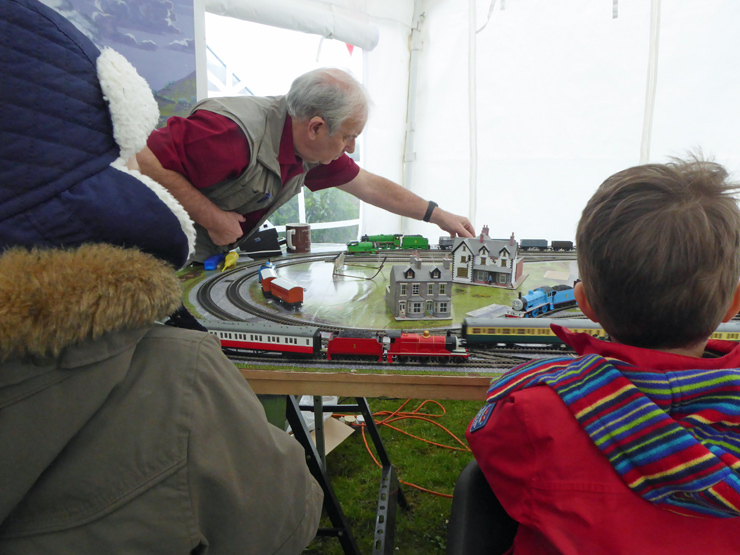 Following the record number of visitors on the 10th of March to one of our Sunday afternoon openings, we wondered what the "Big Weekend" on Saturday 6th and Sunday 7th March would bring. 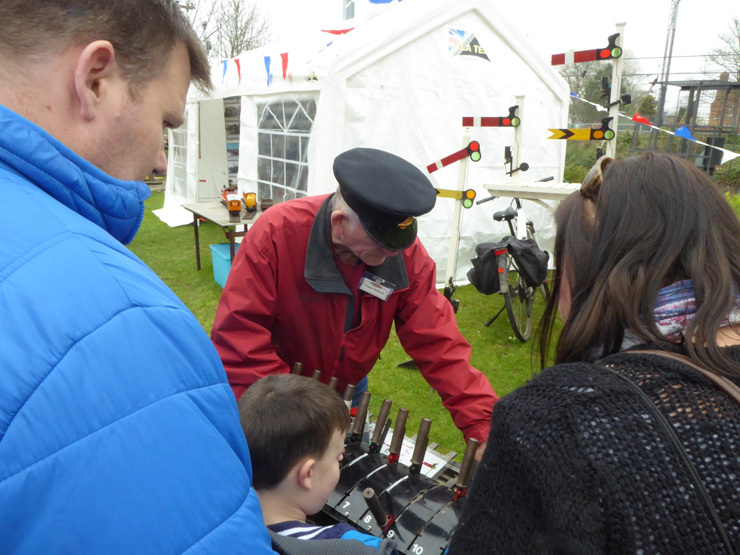 To our amazement it brought 1,197 visitors through the gates. This is the highest number ever since regular public opening started following restoration of the box. 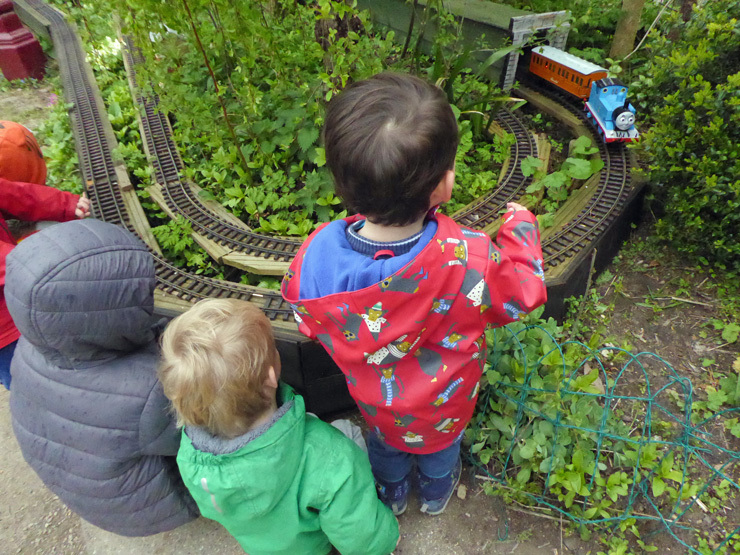 On the right is Thomas doing his first circuits of our garden railway with young admirers looking on. 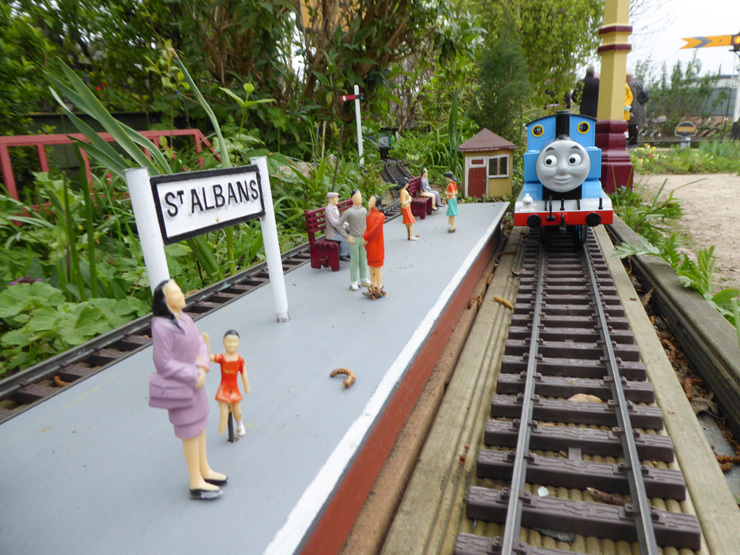 Near by there were smaller models and the larger steam-hauled passenger service. 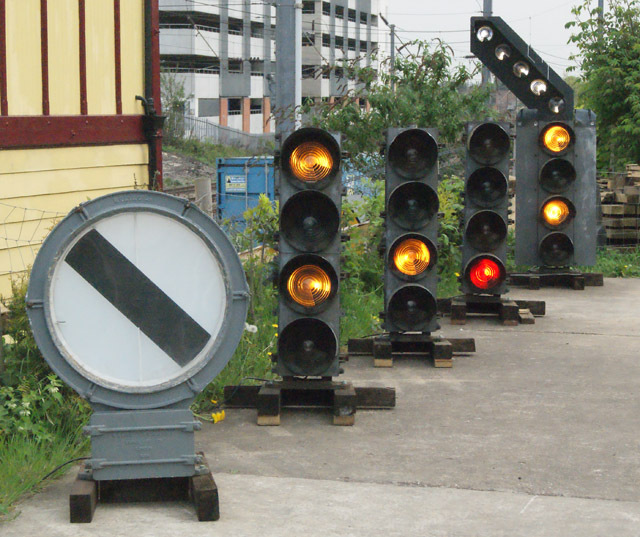 The four-aspect colour light signals with banner signal are one of our longest-running demonstrations, having been operating since 2011. 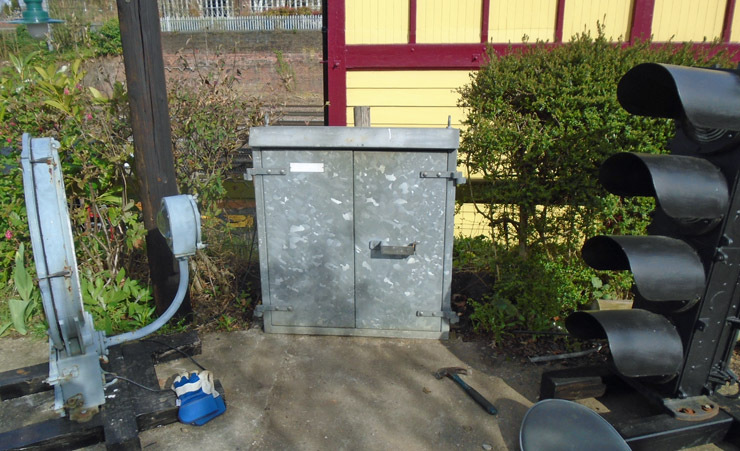 They have been repainted twice, and occasional repairs made to the wiring (particularly after being nibbled by rodents) or to the relay boards in each signal head. These boards have proved more susceptible to climatic conditions than we expected and a couple have had to be replaced. 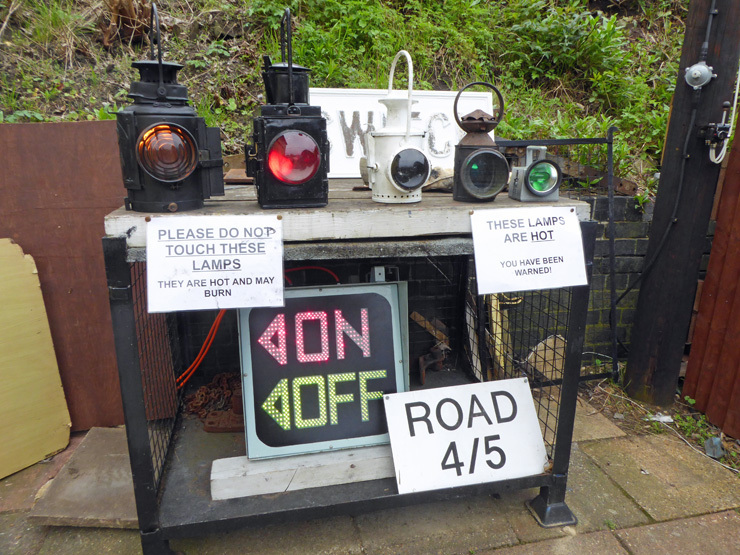 In addition, we have found the carefully focused 5 watt car tail-lamp bulbs can only be viewed over a limited angle - and the plugs and sockets linking signals to the fixed wiring have also given problems. 4. replacing the filament bulbs with LED lamps giving a wider angle of view. 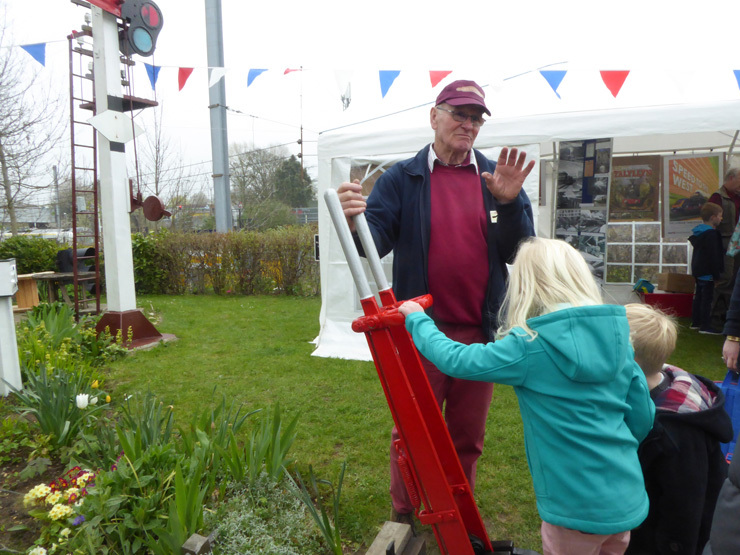 The Open Afternoon on March 10th saw a new record set for the number of visitors attending a Sunday afternoon opening - 250 came, more than twice the previous record of 120 set in February 2018. 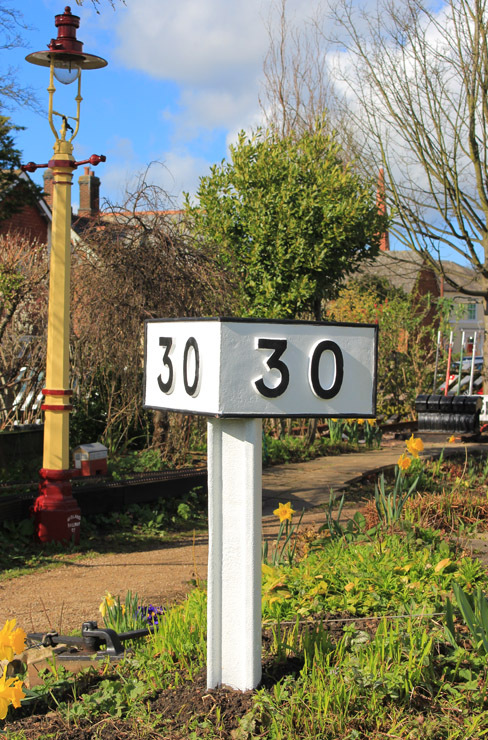 One of our members has passed on the 30 Mile Post that once graced the Midland Railway's Hemel Hempstead branch. 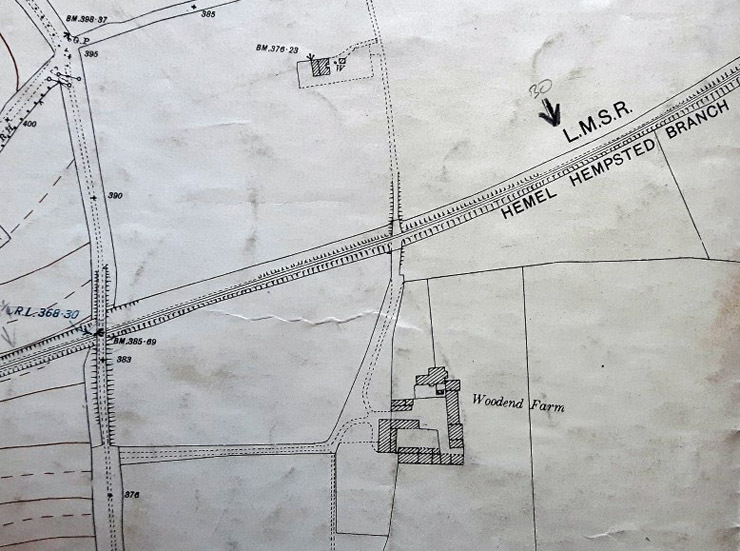 The location was approximately halfway between Harpenden and Hemel Hempstead. 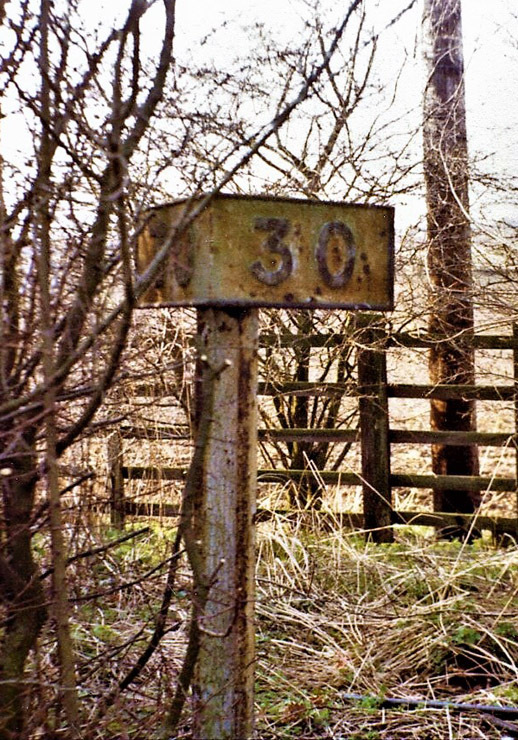 We were able to start again on preserving the fence and have replanted the 'T' sign. 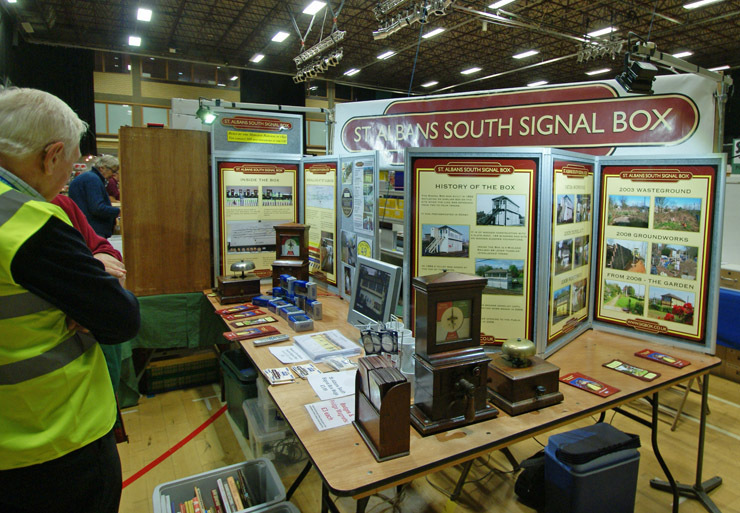 Courtesy of the Chiltern Model Railway Association, we were given space at their annual exhibition, now held at Stevenage Leisure Centre. 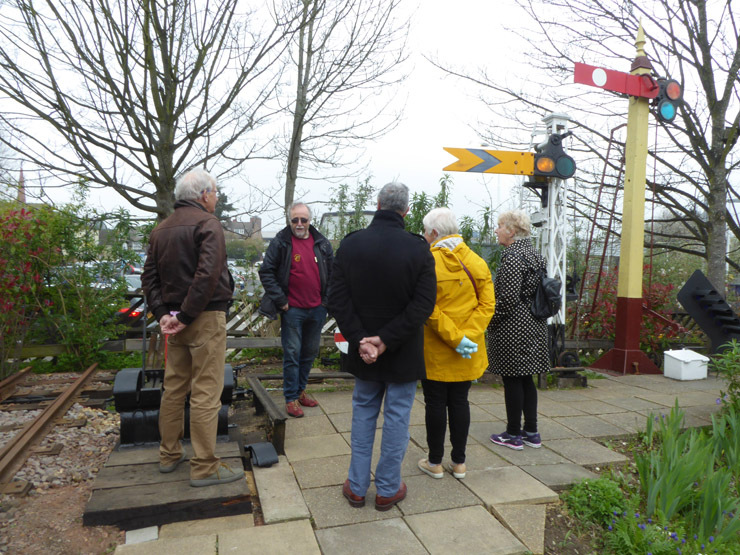 Back at the box, the same weekend saw our first open afternoon of 2019 with some 75 visitors.